In addition to the T-72B3M, two other Russian main battle tank upgrade programs are currently underway and the overall number of the modernized tanks will rise to thousands. It is remarkable that the Russian armed forces are committing to four separate tank platforms. 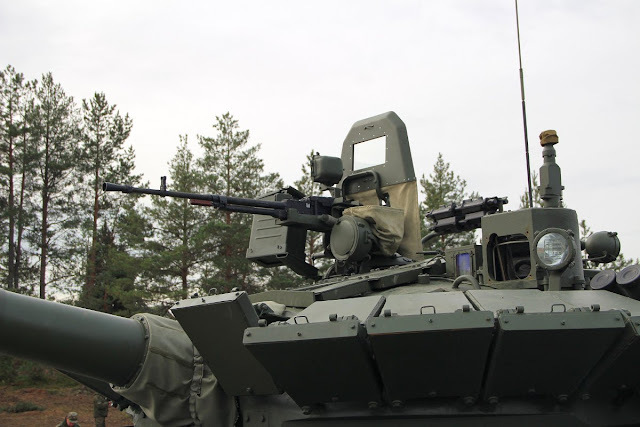 At the same time, Russian armed forces and the Russian defense industry have worked hard to streamline the production and the maintenance of the other armored platforms, such as the BMP, BMD and BTR-families. Despite these efforts Russia still operates a staggeringly vast array of different vehicles, modifications and versions. 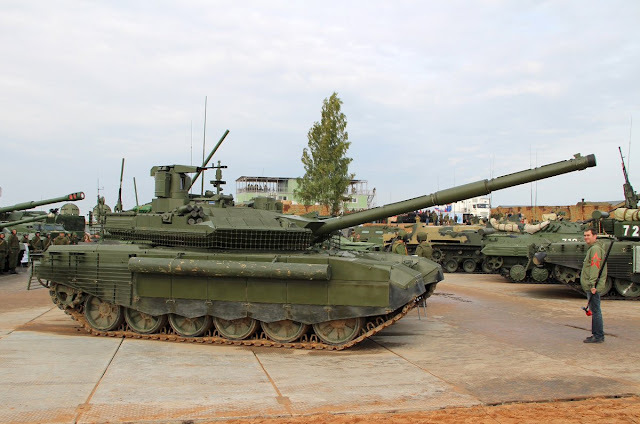 The T-72B3M is the first one of the modernized main battle tanks to enter service and it’s already being used by several tank and motor rifle brigades. Unlike the T-80BVM and T-90M, the T-72B3M is also being produced from scratch. The upgrade programs improve all three corners of the classic protection-mobility-firepower triangle. All tanks are getting new reactive armor packages and active protection systems. The ERA packages on the T-90M and the T-80BVM look particularly impressive. The three modifications share the latest version of the Sosna-U gun-sight, the new fire control automation and the new gun laying components. More importantly all three modifications will give the tank commander an independent panoramic sights with thermal imaging capability. The T-72B3M and the T-90M will have modified versions of the basic 2A46M gun, while the T-80BVM will retain its original 2A46-2 gun. 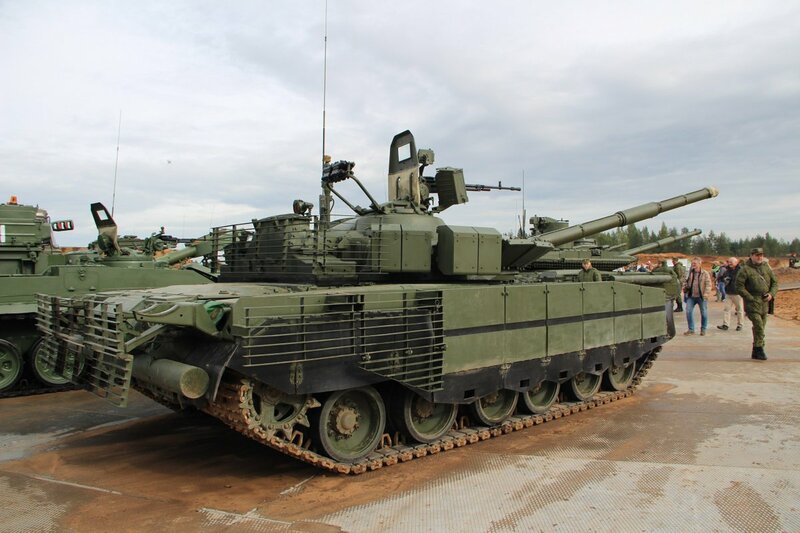 All of the tanks will be upgraded with the ability to shoot the new APDSFS rounds and the 9M119 Refleks anti tank missile. With the new digital communications and battlespace information systems and the similar optics, these tanks will be relatively similar to operate for the gunner and the commander. The T-90M and the T-72B3M will share the 1000-1100 hp V-92S2F diesel engines. The T-80BVM will retain the signature gas-turbine engine, but they will be upgraded to a 1300 hp variant.The fuel inefficiency and the complex maintenance procedures remain as the drawbacks of the T-80 series. "On the other hand this could be the usual corruption ploy to waste government money to the completely unnecessary programs in order to allow the oligarchs and the officials to skim most of the budget in to their own pockets" OR they could just be updating most of their tank fleet because Armata is coming really, really slow - just 70 by 2019- and there won't be many of them 'till at least, 2025. So it makes sense to update the fleet, wich is still much cheaper than buying new tanks at a time they face a percieved -real or not- increased threat from NATO. So first you soak your Red Wheat Berries, for 8-24 hours. You can buy Red Wheat Berries at your local health food store, often in the bulk section. And yes wheatgrass is gluten free. I too, was concerned, but after searching around and asking a licensed dietitian friend in the area, the grass itself does not contain any gluten, only the kernel, and in juicing wheatgrass you only juice the grass, so yay!